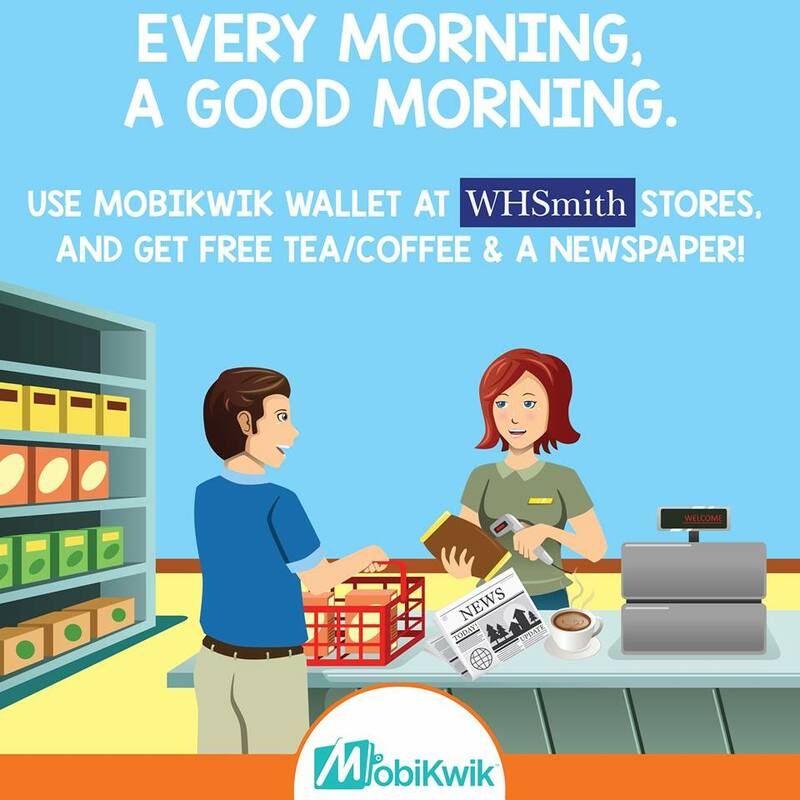 Pay with MobiKwik Wallet at a WHSmith Stores, and get a Free Tea/Coffee & a Newspaper, on a purchase of Rs. 50 or more. Now, you get to work in a jolly good mood. Everyday. Valid on select WHSmith stores in Delhi.